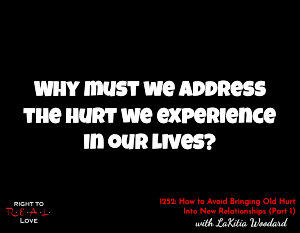 In this episode, Yahnathan is joined by author LaKitia Woodard to address the question: Why must we address the hurt we experience in our lives? Why must we address the hurt we experience in our lives? The importance of healing from experiences that hurt you. LaKitia opens up about some of the challenges she experienced growing up.